Best Places To Visit In Bali - It is not surprising that this beautiful island of Bali is like a haven attracting thousands of tourists from all over the world. Because the island of Bali is equipped with beautiful beaches and stunning, historic monuments and beautiful scenery that will spoil your eyes. 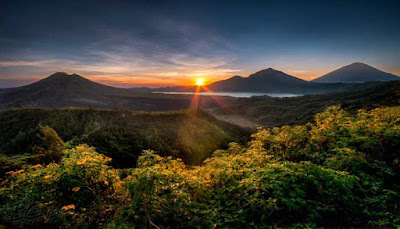 Hiking up the breathtaking Mount Batur by looking at the sunrise with mountain silhouette is something you can see in the active volcano located in Kintamani district, Bali. Hike up the mountain with a delicious picnic breakfast with eggs cooked on the steam volcano. The amazing scenery above the top of the mountain will make you really can not say anything. To reach the top you should wear appropriate clothes and hiking boots. If you stay at a hotel in Seminyak, Bali, check whether a hiking tour to Mount Batur is offered by the hotel. At Mount Batur, you can also see the caldera crater and the lake where the flow of water in the ground flows into Lake Batur which appears to be a spring in some places in Bali and is considered as "Holy Tirta". 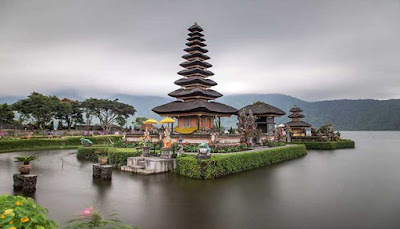 The next best places in Bali is Ulun Danu Bratan Temple. Pura Ulun Danu Bratan is known as "Temple by the Lake" in Bali. The scenery in Bali is quite dramatic including the exotic scenery in this place. Elegantly situated on the shores of Lake Bratan in the mountains near Bedugul. This temple was built in 1633 and is usually used for Ceremonies Ceremonies to Dewi Danu, Goddess of Water, Rivers, and Lakes. If you visit one of Bali's Best Tourist Places, Do not forget to bring your camera before visiting this place. 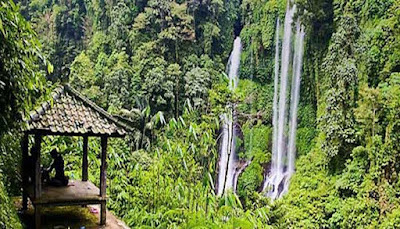 The next best places to visit in Bali is Sekumpul Waterfall, Located in the northern region of Bali Island, Sekumpul Waterfall consists of 7 waterfalls and is famous as the Most Beautiful Waterfall on the island of Bali. On your visit to this waterfall, you will find rice fields, local tourist villages, and many others. Swim in the fresh water and do not forget to bring your camera. Capture the most beautiful moments when visiting this place. The next best destination in Bali is Uluwatu Temple. Uluwatu Temple is one of the Tourism Icons of Bali Island that will be shown in every tourist promo in Bali. This temple is the star of Bali which is located on a magnificent cliff or located about 70 meters above the blue Indian Ocean. Uluwatu temple is also one of Bali's most amazing places to visit while on vacation in Bali. The sunset view from Pura Uluwatu is amazing and highly recommended by anyone especially if you stay at a hotel like Anantara Seminyak Bali Resort. 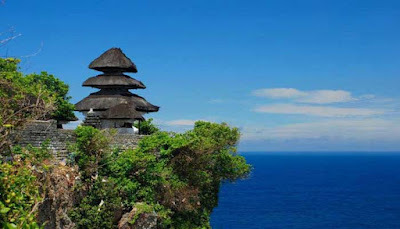 Uluwatu Temple is located on Bukit Peninsula and often also called Pura Luhur Uluwatu. The next best places to go in Bali is Pura Luhur Lempuyang. 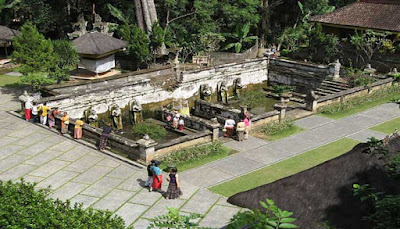 This tourist attraction is known as the oldest and most sacred Hindu Temple in Bali. Perched on Lempuyang Hill or also known as Bisbis Hill. 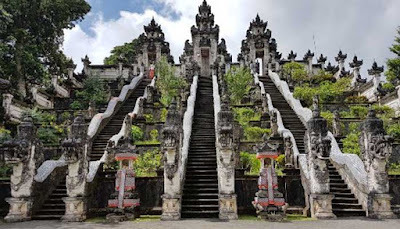 To get to this temple, you are required to climb about 1,700 steps to reach the sanctuary where you will be blessed with stunning views of the surrounding valleys, volcanoes and blue oceans. 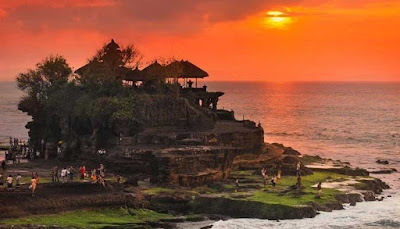 The next best places in Bali is Pura Tanah Lot, is a temple located off the coast of Bali that only allows Balinese. However, you are more than just to admire the beautiful surroundings and enjoy the amazing sunset view. The restoration of this temple was carried away after a constant wave surge threatened to erode the beauty of the temple in 1980. Part of the stone as the base of the temple is actually made of rocks. Other tourist attractions classified as Amazing Places in Bali are Jatiluwih Rice Terrace or Tegallalang. In this place, you can enjoy the trip with the beauty of this rice plant. A good way and recommended for you is to enjoy food or coffee from a restaurant or cafe that is widely available in this area. 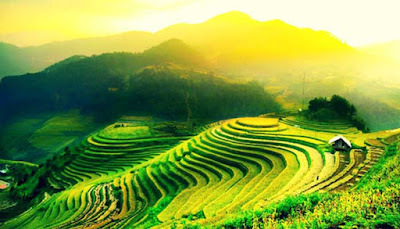 The Jatiluwih Rice Terraces cover an area of more than 600 hectares located in Penebel Village, Tabanan District, Bali, Indonesia. Jatiluwih is a tourist village with beautiful panoramas accompanied by paddy terraces. The air is also cool because it is located at an altitude of 7000 meters from sea level. The best places to visit in Bali Indonesia is Elephant Cave. Elephant Cave has long been used, starting since the 8th century which is a Holy Place for Buddhist Monks and Imam Shiviite. Elephant Cave is very important because the entrance of the cave is marked by meeting Petanu River and Kali Pangkung which in the Balinese language is meant to be magical and sacred. Despite the name Elephant Cave, you will not find Elephant animals around the cave. With intricate stone carvings, stunning swimming pools, and courtyards, Elephant Cave provides an opportunity for the visitors. The next best places to stay in Bali is Nusa Island. Nothing makes Bali more special than its stunning beaches. Walking bare along the shores of the white sandy beaches or gently sloping into the waters of the Indian Ocean is the perfect activity you can get on Nusa Island. Nusa islands comprising Nusa Lembongan, Nusa Ceningan, and Nusa Penida are adjacent to each other very worth your visit. If you are interested in surfing, diving, snorkeling, and kayaking, First Island is the best place where you can also visit the main attractions of the island from the Mushroom Bay and Dreamland Beach. 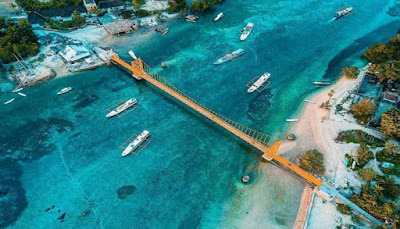 Cross the bridge and you will find yourself in Nusa Ceningan complete with a beautiful lagoon. Take a short boat ride to Nusa Penida and visit dramatic caves, rock formations or go diving to see manta rays, turtles and many more. The next Bali best places to visit is Tirta Gangga Water Palace which was formerly used as a Royal Palace complete with beautiful water park, fish pond, wading pool and fountain which is ideal for exploring. 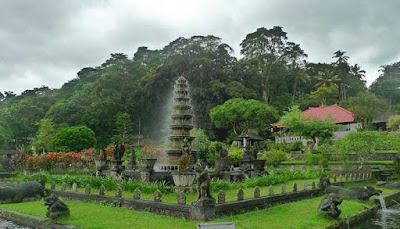 Tirta Gangga Water Palace was built and designed in 1948 by the last king of Karangasem. Although some time ago Mount Agung in Bali eruption, but now according to the Local Government of Bali, the island of Bali is safe for tourists to visit. This is evidenced by the flight access is still running normally from within and from abroad. And based on the monitoring of the human ocean's enthusiasm waiting for the seconds of the new year's turn of yesterday in Kuta to be proof that Bali is very safe and worthy to be visited by tourists especially to witness the 10 Best Places To Visit In Bali.